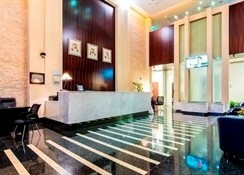 This hotel enjoys a prime setting in Deira- lying within easy access of the city's main attractions. 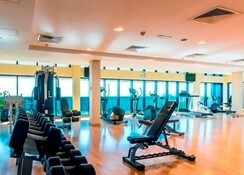 Guests will find themselves within easy walking distance of the famous Gold Souk and Deira City shopping centre. 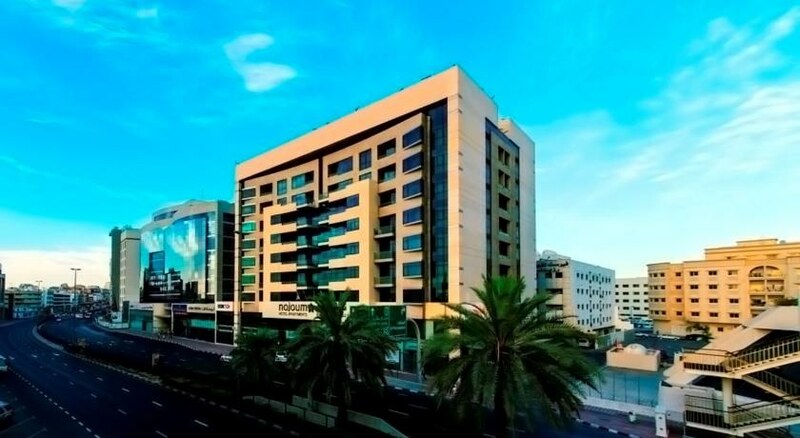 The hotel is located just a short distance from the Hamarain Shopping Centre and the Clock Tower. Al Mamzar Beach is located just a 15 minutes' walking distance from the hotel. Dubai International Airport is located just 4 km away. This elegant hotel enjoys a charming design- welcoming guests into a world of style and luxury. The apartments are exquisitely designed- offering a relaxing setting in which to enjoy a memorable holiday. The apartments feature lavish furnishings and modern amenities. This hotel affords guests a relaxing home away from home. 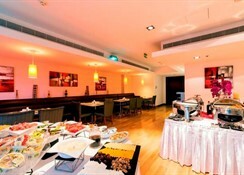 Guests are assured of a truly enjoyable stay at this charming hotel. 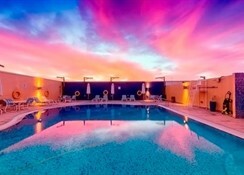 This smoke-free aparthotel features a restaurant, an outdoor pool, and a fitness center. Self parking is free. Other amenities include a sauna, a rooftop terrace, and WiFi in public areas. All 77 soundproofed apartments feature WiFi and room service. Guests will find kitchens with refrigerators, stovetops, and dishwashers. Bathrooms are shared. 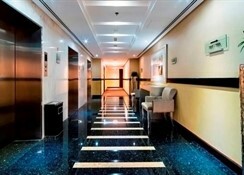 Located in Deira, this aparthotel is within 1 mi (2 km) of Hamarain Centre and Deira City Centre. 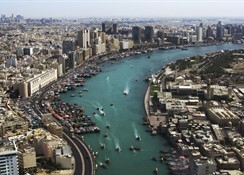 Dubai Creek and Dubai Tennis Stadium are also within 3 mi (5 km).